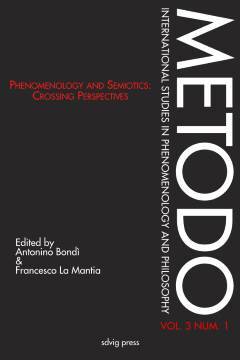 The eight essays included in this issue offer a structuralist re-reading of Merleau-Ponty’s philosophy and/or testify to its central role within the contemporary history of phenomenology and structuralism as well as of Gestalt Psychology, Deconstruction, Deleuze’s philosophy, Feminism, and other approaches that accompanied and often contested basic tenets of phenomenological and structuralist thought. The first half of the issue is devoted to pre-Second-World War structuralism and its influence on the genesis and development of Merleau-Ponty’s work. The second half explores post-Second-World War structuralism (and post-structuralism) and addresses some of the criticisms routinely directed at Merleau-Ponty. Stawarska, B. , Flack, P. (2018). Introduction. Acta Structuralica 2, pp. 1-4. 1Maurice Merleau-Ponty was a unique philosopher within the pheno­menological movement in that he held close and intellectually productive relations to structuralism – leading some scholars to wonder whether he should be considered a structuralist (cf. Edie 1971, “Was Merleau-Ponty a Structuralist ?”). 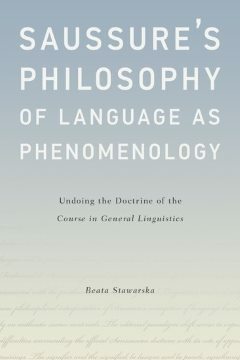 Considering his early interest in Gestalt psychology and a close engagement with Saussure’s structural linguistics, a lifelong friendship with the structural anthropologist Claude Lévi-Strauss, an indebtedness to the philosophy of language of the Dutch linguist Hendrik Pos, and an often overlooked influence on the founder of deconstruction, Jacques Derrida, it is unsurprising to find multiple points of contact between Merleau-Ponty’s philosophy and structuralist and post-structuralist thought. One of the con­sequences of Merleau-Ponty’s untimely death in 1961, however,was his absence from the influential, highly polemical debates between the post-second-world war French structuralists (in particular Michael Foucault) and the “existen­tial” or “hermeneutical” phenomenologists (Paul Ricoeur, Jean-Paul Sartre). These debates arguably established an institutionalized antago­nism between the traditions of phenomenology and structuralism (and post-structuralism). As a result, the structuralist dimension of Merleau-Ponty’s phenomenology received limited scholarly attention becauseit emerges as an accident or an anomaly on the antagonistic view. 2Following the lead of recent scholarship exemplified by the publication of monographs such as Jean-Claude Coquet’s Physis et Logos (2007), our own book-length studies of Saussure’s philosophy of language (Saussure’s Philosophy of Language as Phenomenology: Undoing the Doctrine of the Course in General Linguistics, Stawarska 2015) and the Central European context of the early phenomenological and structuralist traditions (Idée, vécu, expression: la question du sens entre phénoménologie et structuralisme, Flack 2018), as well as journal issues such as “Phenomenology and Semiotics,” Metodo (Bondi & LaMantia 2015) or “Phenomenology and Structuralism,” Acta Structuralica(Aurora & de Angelis 2018), the present volume seeks to trouble the pur­ported divide between phenomenology and structuralism (and post-struc­turalism). 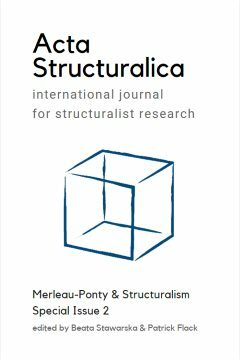 It brings overdue attention to the structuralist in­heritance and the post-structuralist legacy of Merleau-Ponty’s philosophy. 3The eight essays included in this issue offer a structuralist re-reading of Merleau-Ponty’s philosophy and/or testify to its central role within the contemporary history of phenomenology and structuralism as well as of Gestalt Psychology, Deconstruction, Deleuze’s philosophy, Feminism, and other approaches that accompanied and often contested basic tenets of phenomenological and structuralist thought. 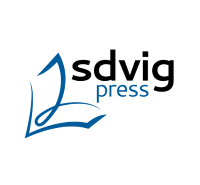 The first half of the issue is devoted to pre-Second-World War structuralism and its influence on the genesis and development of Merleau-Ponty’s work. The second half explores post-Second-World War structuralism (and post-structuralism) and addresses some of the criticisms routinely directed at Merleau-Ponty. 4Treading a seemingly well-worn historiographical path, Karina Trilles Calvo (“Merleau-Ponty and Gestalt Theory: Towards a Philosophy of Form”) and Mariana Larison (“So far yet so close : Merleau-Ponty between Form and Structure”) open the volume with two contributions in Spanish that take up the question of Merleau-Ponty’s relation to Gestalt Psychology. By explicitly interrogating Merleau-Ponty’s engagement with Gestalt Psychology in the broader context of the structuralist notion of form, these authors highlight the extent to which Merleau-Ponty’s interpretation diverges from the natura­listic assumptions of the Gestaltists and ultimately paves the way for a radical understanding of the expressive, articulated or “structural” nature of the “sensible” itself in in his later work. 5In anessay titled “Creativity in Language and Expression”, Anna Petro­nella Foultier reconsiders the relationship between Merleau-Ponty’s and Saussure’s works from the point of view of creativity. 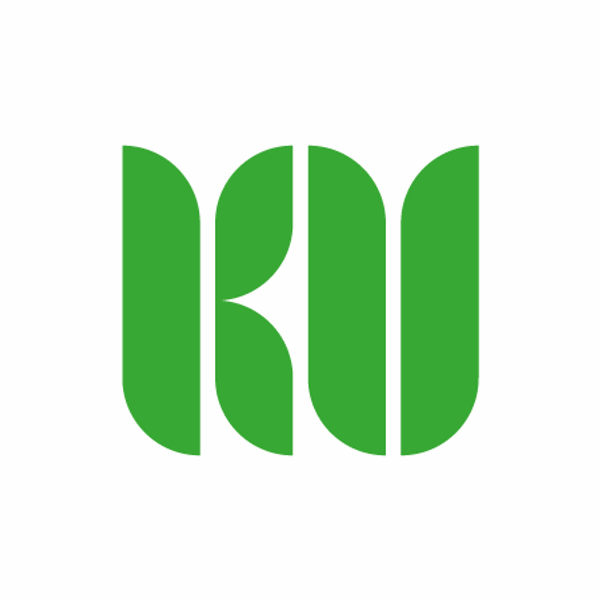 She highlights im­portant points of convergence between their positions in particular and the phenomenological and structuralist methods in general. 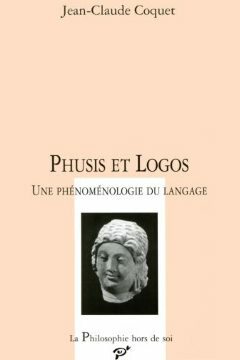 Bernhard Leistle’s “Polyfunctionality, structural dominant and poetic function in Merleau-Ponty’s Phenomenology of Perception” further corroborates this approach and considers the expressivity of language construed as a poetic, productive medium. The author focuses especially on the often-neglected Prague School and on the fundamental notion of function. Whereas the contributions on Gestalt psychology tie phenomenology to structuralism by means of a non-naturalistic notion of form, the latter papers draw on concep­tual contri­butions from structural linguistics. They illustrate the synergies between phenomenology and structuralism by taking up the important question of subjectivity in language. 6The second half of the issue includes essays devoted to post-structuralism, and Merleau-Ponty’s relation to authors including Gilles Deleuze, Karen Barad, Judith Butler, Luce Irigaray, and Jacques Derrida; they all challenge the received antagonistic view and foreground the interlocking, comple­mentary discussions of shared themes within post-structuralism and Merleau-Ponty’s philosophy. 7Judith Wambacq (“Merleau-Ponty and Deleuze, readers of Saussure”) provides a striking reappraisal of the standard view that the philosophies of Merleau-Ponty and Deleuze lie at antipodes. She highlights significant con­vergences in the two thinkers’ interpretations and re-appropriations of Saussure’s insights. Martin Huth (“Incorporated recognizability”) adopts a similar strategy in his analysis of moral responsiveness and responsibility, drawing on Judith Butler’s recent work in relation to Merleau-Ponty. 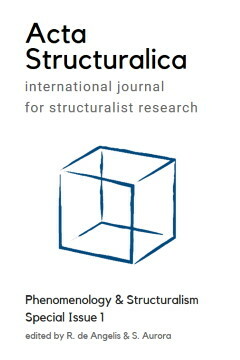 He locates a shared structuralist heritage in their writings and ultimately situates them in a chiasmatic space between phenomenology and structuralism. 8Extending these integrative efforts to feminism, Gina Zavota (“A Feminist Approach to The Visible and the Invisible”) challenges a number of feminist criticisms directed at Merleau-Ponty, in particular by Luce Irigaray. By comparing Merleau-Ponty’s philosophy of the body to Karen Barad’s theory of agential realism, she defends the universal scope of fundamental concepts such as the chiasm. Finally, Eva-Maria Simms (“Merleau-Ponty, the spatial turn, and spatial justice”) highlights the productive potential of Merleau-Ponty’s philosophy when it is considered in a structuralist light. By expan­ding the field of Merleau-Ponty’s thought to the social sciences (an aspect also found in Leistle’s paper concern with social anthropology) and by raising ethical and political questions regarding communal responsibility toward urban space, her paper demonstrates that Merleau-Ponty’s philosophy can lead to concrete applications that address social/spatial injustice. 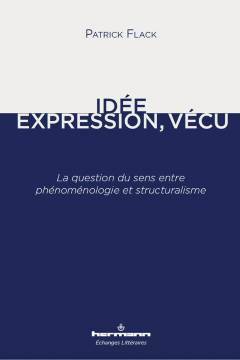 9In all, the papers collected in this volume make a compelling case for structural phenomenology as a methodological framework that re-appro­priates the contemporary history of ideas in a non-antagonistic manner and opens avenues for innovative and productive philosophical research in the 21stcentury.